When spouses can no longer get along, obtaining a divorce quickly is often a top priority. In Louisiana, the length of time spouses must remain separated in order to dissolve a marriage depends on whether the marriage is a covenant marriage or "standard" marriage -- and if one party can prove marital fault. Further, different separation periods apply if the divorcing couple has minor children or abuse has occurred. To obtain a divorce for a standard marriage in Louisiana, a spouse must either prove the breakdown of the marriage was the fault of the other spouse or show the couple has lived separate and apart for 180 or 365 days, depending on the circumstances. The state uses the term "standard" to refer to marriages in which the couple did not take the additional steps required for a covenant marriage. Covenant marriages involve more of a commitment to the marriage relationship, provide limited grounds for divorce and require counseling before a divorce will be granted. The two fault grounds available to dissolve a standard marriage are adultery and the commission of a felony with a sentence of death or imprisonment. If a spouse is successful in proving fault, no separation period is necessary. For couples pursuing a divorce in a standard marriage on the no-fault ground of living separate and apart in Louisiana, the waiting period depends on whether minor children are present or whether abuse of a parent or child has occurred. The separation period for parties without children is 180 days. For couples with children, the separation period is 365 days, unless abuse of a parent or child has occurred, in which case separation is reduced to 180 days. In addition to standard marriages, Louisiana also recognizes covenant marriages. These marriages are for couples who believe strongly that the marriage relationship is a lifelong commitment; the process requires couples to undergo counseling and sign a declaration of their intent to enter into a covenant marriage. 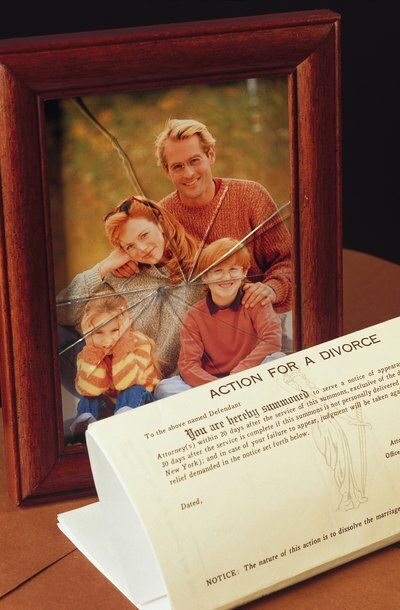 This results in a more difficult process for obtaining a divorce based on separation. However, the fault-based grounds of adultery, physical or sexual abuse, abandonment, and the commission of a felony resulting in a sentence of death or imprisonment may be used to dissolve a covenant marriage and do not require a period of separation, with the exception of abandonment. To obtain a divorce in a covenant marriage on the grounds of living separate and apart, the waiting period depends on whether the couples have received an order of legal separation, known as a separation from "bed and board." If the parties are not legally separated, they must live apart for at least two years. If the parties are legally separated, they must wait one year from the date of the separation order, or 18 months if the couple has minor children. If abuse of a child or parent has occurred, the waiting period is reduced to only one year from the date of the order. In cases where abuse has not occurred, couples are required to attend continuous counseling throughout the period of separation in an attempt to reconcile the marriage. Most divorces in North Carolina are absolute divorces. Although North Carolina offers a second form of divorce, called a "bed and board" divorce, only the absolute divorce permanently severs the marriage. Further, all issues of the marriage must be settled before the court will finalize an absolute divorce.